Right at a year ago, Novo wowed the crowd at the Denver Gold show with their actual live action display of finding gold nuggets at Purdy’s Reward and prying them out of the ground. Naturally I wrote about it and some of the points I tried to make sound quite reasonable today given that there have only been five assays produced in the last year. I called it with great accuracy. Time has shown us that the large diameter RC drill didn’t work because the specific gravity of the gold meant that air alone wouldn’t blow the nuggets back up the hole. 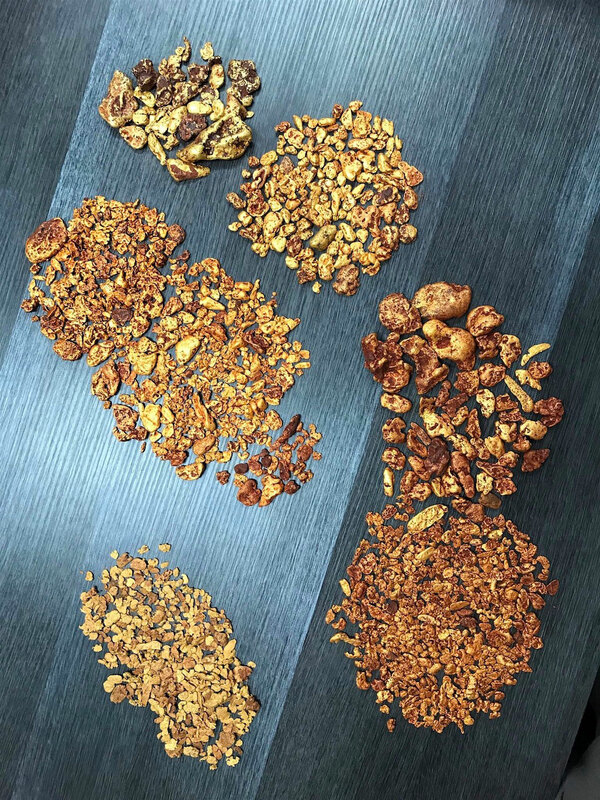 The Steinert machine didn’t work out for some reason and a decision was made to take large bulk samples and process them as you would process ordinary ore. SGS has spent many months setting up a test facility in Perth without any results being delivered to Novo. The silence has been thunderous. As a result shareholders have gotten nervous at a seeming lack of progress. Due to a lack of assays there is a general belief that Novo has been Waiting For Godot. 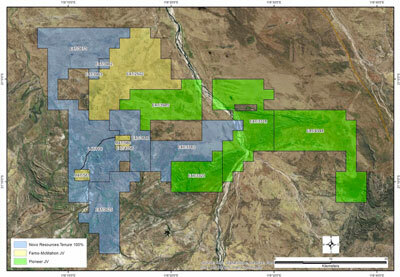 Novo has completed thousands of meters of core and done extensive mapping of the conglomerate. They have taken dozens of bulk samples and some day SGS will release those numbers. So what? I knew in July of 2017 everything I needed to know about Novo’s discovery and I’ve been passing on clues ever since. This from November 7, 2017. Quinton’s people have tracked the surface strike of the outcrop at Purdy’s and Comet Well about 8 km. So we are guessing at the thickness. We are guessing at the down dip extension and we are guessing at the horizontal extent beyond 8 km. We went back to Karratha and went to see the local gold buyer. I bought some gold from him that seems identical to that from Purdy’s/Comet Well. He said that it was 110 km from Purdy’s. Quinton later marked it out on a map for me and it turned out to be 125 km from Purdy’s. That gave me some idea of the potential strike. With any mining project there are two important technical issues. Everyone pays attention to the first. That is, What grade is the material? Often they ignore the second. It is far more important. And that is, What is the tonnage? Grade and tonnage. All else is nonsense. An excellent demonstration of this would be that of Garibaldi Resources with their rocket higher in 2017 from $.15 in July to a high of $5.27 in October, two months before releasing any actual drill results. 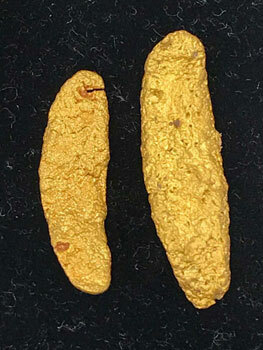 Garibaldi did nothing more than drill a pod of high grade mineralization that had been discovered fifty years ago. They knew exactly what grades they were drilling, it had been drilled before. Brent Cook has called this about as close to a scam as anything he has ever seen in the last year. The market knows GGI has high-grade material. Hell, the market knew that fifty years ago. But the real issue is, do they have the tonnage? Without the tonnage, the grade means nothing. I am more than uncomfortable with the company because their press releases tend to hint of wonderful things coming without providing any substance. This is a quote from their last press release of September 14th, 2018. While Garibaldi may well “eagerly anticipates” they didn’t actually eagerly release anything when they said they would. The week of September 17th came and went. But the words, “eagerly anticipates” added $69 million in market cap. I would like to suggest that Garibaldi deliver some tonnage soon as well as grade or their $300 million market cap is going to become a lot lower as shareholders who got burned go searching for a short rope and a tall oak tree. If they don’t deliver clear tonnage, the stock is going to be selling at a discount to cash eventually in the same way Canaco did after spending over $100 million to discover less than a million ounces of gold in Tanzania a few years ago. There are two different kinds of resource companies. There are those who constantly play with their share price with meaningless and over promotional press releases. Those companies are nothing more than stock promotions and should be avoided at all cost and there are real companies. The market will know soon which Garibaldi is. When I was in Australia with Quinton and crew last year we didn’t know much about the deposit. We knew there were a lot of gold nuggets near surface. The garimpeiro miners with mining permits could only dig down I think 30 centimeters. They located nuggets with a metal detector and then pried the buggers out of the ground. We could only guess at the grade. We would only guess at the thickness of the conglomerate. We didn’t know if the entire conglomerate was mineralized but we did know that there were gold nuggets running all the way from Purdy’s Reward to Comet Well. We know that in the Vits, the rich, 15 g/t gold seam is only 30 cm thick. When I was looking at Purdy’s, I was trying to figure out where in the conglomerate sequence the gold was coming from and frankly I couldn’t. You could see conglomerate but you couldn’t figure out if you were looking at the top or the middle or the lower portion. It was a mystery and I know damn well it’s irrational to believe it was mineralized through and through. If Purdy’s acts like the Vits, you would expect a narrow but rich section. If Purdy’s acts like a typical placer deposit, you might have a meter of pay at the very lower level right above bedrock. So of a 14-meter thick conglomerate sequence, you might have between a third of a meter to a whole meter of mineralization. Results delivered to date tend to validate my guess of 30 cm to a meter of mineralization but Quinton has indicated that there are multiple zones of gold within the conglomerate. Naturally we are waiting for reports from SGS on the grade. In the background and unbeknownst to most, Quinton was working on doing something at Egina. (Pronounced as edge-a-na) When Quinton and I were in Karratha in July of last year we bought some gold from there from the local gold buyer. He mentioned having some gold found on the Yandeyarra Reserve at Egina. I bought some. Quinton and I compared the gold with that from Comet Well/Purdy’s. It was identical in appearance and we found out later, same richness. I felt the information was incredibly valuable. We had some idea of grade at Novo’s Karratha project, it was multi-ounce but we had no idea of tonnage. But if you have a deposit where the ore is identical in two places 125 km apart, you have an idea of the tonnage. For the last year Quinton has been working on picking up ground around Egina. On the 17th of September Quinton announced doing deals on two projects in the Egina region. One, with the Farno-McMahon Company was to pick up the 4 km ground with an actual mining license in addition to a lot of ground that does not yet have a license. The Farno property has a private company who did a deal with the Yandeyarra Reserve and have been mining. The terms of the agreement call for Novo to pay about $8 million in cash and shares for the Farno ground. That seems high to those who don’t understand what Quinton was doing. 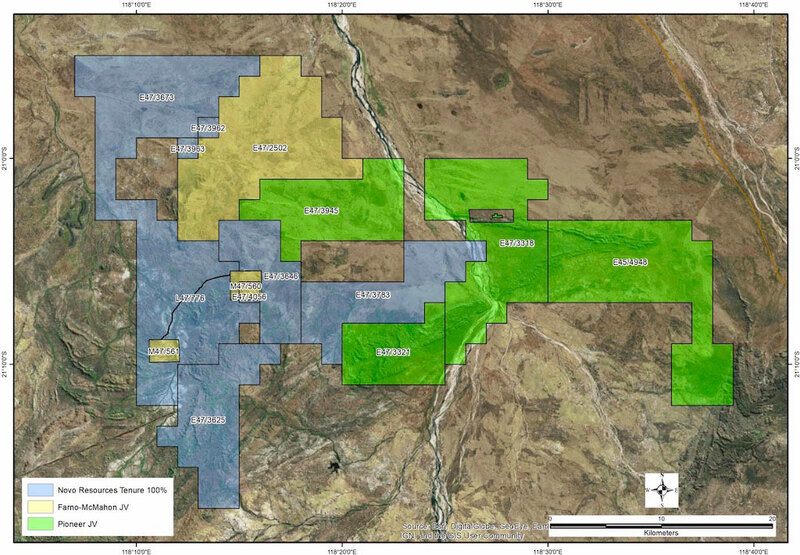 The two yellow patches to the left are the granted mining license ground for Farno. But all of the ground to the Northeast and East are prospective for gold in gravels. Quinton managed to find a way around both the 43-101 handcuffs and the slothfulness of SGS. He can’t quote tonnage or grade at Egina but the miner with the mining license can tell him what their results were. At Egina on the official mining license property owned formerly by Farno, they were finding gold in gravels three meters in depth. The grade was .7 grams per cubic meter. When you are using gravity equipment processing simple gravel, since all your earthmoving equipment is measured in cubic yards or cubic meters, it makes sense to talk about cubic meters, not grams per ton. Gold today is about $38 a gram. So .7 g/m is just over $26 USD per cubic meter. Generally it costs $1 every time you move a cubic meter so a rough guess as to the cost of production would be $5 to $7 a cubic meter. Now those are nice numbers. Gravel is easy to work with. When Quinton visited the area he needed to know just where the gravel came from. While there is a lot of gold in the conglomerates, there is also a lot of vein material and that’s a totally different kettle of fish. He looked up the hill from where Farno was working and saw an outcrop of conglomerate. Clearly the gold in the gravel came from weathered conglomerate. Here’s where this announcement gets interesting. Farno gave Quinton a solid number for potential. It’s easy enough to work out the value of the ground potentially. There are 1 million square meters to a square kilometer. If you have gravel three meters deep grading .7 g/m worth $38 a gram, each square km has the potential for 67,524 ounces of gold worth about $80 million at today’s prices. There are a lot of square kilometers in the ground purchased by Novo last week. Summer is just around the corner and basically everything stops in the Pilbara during the Australian summer. People in Karratha book sightseeing trips to Hell during the summer so they can cool down. Novo anticipates starting trial mining in late March or April of 2019 at Egina. A small plant would be 100 meters an hour. You can do the math. While there are mining licenses for the two patches of ground being mined by Farno, Novo still needs to work out terms with the elders in the Yandeyarra Reserve. Buying Farno gives them an entry point and a place to begin. Novo’s relations with the locals are solid and those who are working with them seem to be pleased with the terms. I have been Novo’s greatest fan for nine years now. There is a lot of poor information and absurd comments from others writing about Novo but I will say I have pretty much gotten it all along. I don’t know if GGI has both grade and tonnage but I'm damned sure I know Novo does. Novo remains my largest position. I am just as biased as I can be. Do your own due diligence and be patient. While time is the enemy, Quinton is not.